Yiddish has always been the oracular mainstay of Chabad’s intellectual and spiritual trajectory. Initially it was simply the vernacular of the Jews in Eastern Europe, and its use, even in Hasidic publications, merely reflected its utility as a linguistic medium for the dissemination of Hasidic teachings. From the mid-nineteenth century, however, Yiddish became a contested language, an ideological and cultural battleground. In response to the linguistic interventions proposed by proponents of Haskalah and Zionism, Yiddish became subject to broader ideological considerations for Chabad’s leaders. By the 1920s, processes of urbanization and migration had dramatically changed the linguistic environment in which Chabad sought to perpetuate its teachings, and the use of Yiddish began to be seen as a link to the past, but also as a gateway for the translation of Hasidic teachings into other languages, an initiative in which women played important roles. In this period, Yiddish also began to be framed as a linguistic bridge between alienation and intimacy, reflecting the classical Chabad concern with the sacralization of the self and the world. In the post-Holocaust era, the movement’s seventh Rebbe enfolded earlier Chabad conceptions of Yiddish within a fuller theorization, drawing on the classical Hasidic doctrine of divine immanence to recast Yiddish as the language of redemption, a language whose true significance must ultimately transcend the particularity of any Jewish language, and resonate in every language. Recent scholarship has done much to illuminate the central role of Yiddish in the representation of Hasidic teachings throughout the history of the movement, including in the case of Chabad. 1 1 See Ariel Evan Mayse, “Double-Take: Textual Artifacts and the Memory of Hasidic Teaching,” in Kabbalah, 37 (2017), 37-93; Daniel Reiser, “The Hasidic Sermon: Between Yiddish and Hebrew,” Judaica Petropolitana 6 (2016): 3-23; Naftali Loewenthal, Communicating the Infinite: The Emergence of the Habad School (Chicago and London: Chicago University Press, 1990), 66, 174, 195-204. Scholars have also examined the nexus of Yiddish and the formation of ideology in the emergence of secular Jewish culture, and in Haredi communities in contemporary Israel and the United States. 2 2 See Joshua A. Fishman, “The Sociology of Yiddish: A Foreword,” in Never Say Die! A Thousand Years of Yiddish in Jewish Life and Letters, ed. Joshua A. Fishman (The Hague: De Gruter, 1981). 1-63; Barry Trachtenberg, The Revolutionary Roots of Modern Yiddish, 1903-1917 (Syracuse University Press, 2008); Dalit Assouline, Contact and Ideology in a Multilingual Community: Yiddish and Hebrew Among the Ultra-Orthodox (Boston and Berlin: De Gruter, 2017); Jeffrey Shandler, Adventures in Yiddishland: Postvernacular Language and Culture (Berkley and Los Angeles: University of California Press, 2006); Netta Avineri, “Yiddish language socialization across communities: Religion, ideologies, and variation,” Language and Communication, 42 (2015): 135-140. Less attention has been given to theorizations of the place of Yiddish in Hasidism that have been developed within the Hasidic movement itself. 3 3 For an exception that is notable, but relatively brief, see Elliot R. Wolfson, Open Secret: Postmessianic Messianism and the Mystical Revision of Menahem Mendel Schneerson (New York: Columbia University Press, 2009), 15-6, 42-4. The ground covered by Wolfson will be revisited below (Part 3) and set in a wider historical, cultural, ideological, and textual context. Chabad provides a particularly interesting example, in that it ultimately came to endow Yiddish with a spiritual significance that was not directed towards the conservative protection of the Hasidic enclave, but rather to the communication and dissemination of Hasidic teachings as widely as possible. The concern of this article, accordingly, is to trace the historical emergence of ideological considerations of Yiddish within Chabad, and to show how they ultimately came to be integrated into a full theorization of the Hasidic significance of Yiddish. Before turning to questions of ideology and theory, our point of departure is language. As in the case of Hasidism generally, Yiddish has always been the oracular mainstay of Chabad’s intellectual and spiritual trajectory. It was the original language in which all the rebbes of Chabad delivered their formal Hasidic discourses (mamarim) and their more informal talks (siḥot). Yet, for the most part the mamarim were transcribed, and later published, in Hebrew (lashon qodesh). (This is a generalization that will be qualified below.) The case of the siḥot is rather different; it was not until the tenure of the Fifth Rebbe, R. Shalom DovBer Schneerson of Lubavitch (Rashab, 1860-1920), that they began to be transcribed at all, and it would be several more decades before they began to appear in print. In this case, however, the oracular Yiddish was preserved both in transcription and in publication. 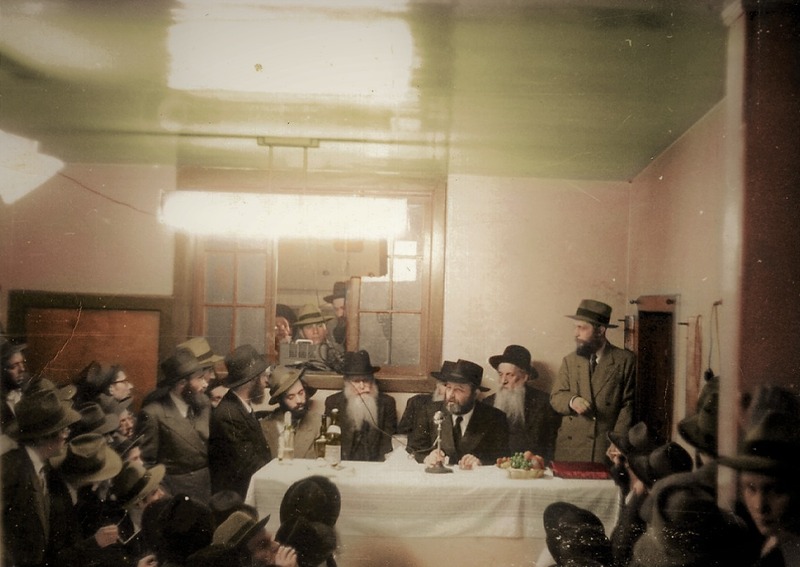 During the tenure of the Seventh Rebbe, R. Menachem Mendel Schneerson (1902-1994), the siḥot became his primary form of public communication, and they were painstakingly transcribed and published, first in Yiddish and only later in Hebrew as well. 4 4 For some details of this see Mayse, “Double-Take,” 66-84. On the “polylingual” and “scholarly” orientation of the seventh Rebbe’s Yiddish see Benjamin Harshav, The Meaning of Yiddish (Stanford: Stanford University Press, 1999), 21. פאר די מענטשען וואס קענען ניט לשון קודש אויך ספרי מוסר וואס זיינען געשריבען איוף טייטש איז אטרחה צו באקומען דרום בלייבן זיי אן איין עצה ווי זיי זאלען תשובה טאן דרום האט מיך מיין הארץ מזרז געווען צו שרייבען די וועגען פון תשובה אויף טייטש … און אגב איז דאס איין פעולה אפילו פאר דעם למדן ווייל את איז געזאגט אויף מוטער שפראך דרום דער וועקט זיך דאס הארץ פון מענש מקים צו זיין וואס ער זעהט … דער צייל ריינע רייד פאר איין קלוגען איז איין פעולה דורך דעם וועט ער זיך מער קליגען. For people who do not know Hebrew it is even difficult to find ethical books that are written in Yiddish and they are left without advice about how to return to G-d. Therefore my heart stirred me to write about the paths of return in Yiddish … And by extension this is also productive even for a learned person, for it is expressed in the mother tongue and therefore a person’s heart is awakened to actualize what he reads … Speak plainly before the the wise and the result is that they will become more wise. While R. Schneur Zalman took note of the challenges inherent in transcription and translation, R. DovBer addressed considerations of audience, accessibility, and impact. But neither of them explicitly suggest that Yiddish is anything more than a utilitarian linguistic medium for the dissemination of Hasidic teachings. Yiddish, at this point, was simply the vernacular. It was not yet a contested language, and not yet subject to ideological reflection or theorization. Part 1 of this article traces the initial crystallization of ideological approaches to Yiddish from the mid-19th century to the early 20th century, which should rightly be seen within the broader context of Chabad’s battles for the preservation of traditional Jewish life, learning, and culture. These ideological stances were articulated in response to the rise of competing ideologies, specifically those of Haskalah and Zionism. 8 8 For a discussion of some aspects of this within its broader cultural and historical context see Israel Bartel, “From Traditional Bilingualism to National Monolingualism,” in Hebrew in Ashkenaz, ed. Lewis Glinert (New York and Oxford: Oxford University Press, 1993), 141-150. Also see Holger Nath, “Yiddish as the Emerging National Language of Eastern European Jewry” Sociolinguistics 6, no. 1 (1992): 52-64. Part 2 turns to the linguistic initiatives of the sixth Rebbe, which began following his exile from the Soviet Union in 1927, at a time when processes of urbanization and migration had already dramatically changed the linguistic environment in which Chabad sought to perpetuate its teachings. It is during this period that the themes of alienation and intimacy are first introduced. 9 9 On processes of Jewish migration during this period see Tobias Brinkmann, “Permanent Transit: Jewish Migration during the Interwar Period,” in 1929: Mapping the Jewish World, eds. Hasia R. Diner and Gennady Estraikh (NYU Press, 2013), 53-72. For related comments on migration, multilingualism and Yiddish see Guy Miron, “A People between Languages: Toward a Jewish History of Concepts,” Contributions to the History of Concepts 7, no. 2 (2012): 12-13. On other aspects of the sixth Rebbe’s activism during this period see Ada Rapoport-Albert and Gadi Sagiv, “Chabad ke-neged hasidut ‘Polin’: le-toledotav shel dimui,” in Chabad Hasidism: History, Theology and Image, eds. Jonatan Meir and Gadi Sagiv (Zalman Shazar Center, 2016), 223–65. Parts 3 begins to explore the full flowering of Chabad’s theorization of Yiddish in the teachings of the seventh Rebbe. These developments took place in the post-Holocaust decades following the reestablishment of Chabad’s center in Brooklyn, NY. The chief battle to be fought was not against competing Jewish ideologies, but against ignorance and assimilation, and for the inspired education of a new generation of Hasidim: a generation who would not merely survive, but flourish, disseminating the Chabad vision of personal and cosmic transformation on a global scale. The new theorization of Yiddish was not a response to the threat that secularization posed to Jewish communities, but rather part of a broader affirmative initiative to resacralize society—in part by resacralizing language. 10 10 On the general phenomenon of resacralization and its implications see Grace Davie, “Resacralization,” in The New Blackwell Companion to The Sociology of Religion, ed. Bryan S. Turner (Wiley, 2010), 160-177; Philip Wexler, Mystical Sociology: Toward Cosmic Social Theory (New York: Peter Lang, 2013), 19-26. On resacralization in the mystical vision of the seventh Rebbe see Ibid., 44-6; Eli Rubin, “Divine Zeitgeist—The Rebbe’s Appreciative Critique of Modernity,” Chabad.org <Chabad.org/2973252> (accessed April 8, 2018). Also see David Sorkin, “Between Messianism and Survival: Secularization and Sacralization in Modern Judaism,” Journal of Modern Jewish Studies 3, no.1 (2004): 73-86. Part 4 turns to the ways in which this new theorization of Yiddish was rooted and intertwined in the classical Hasidic doctrine of divine immanence within the cosmos and within language especially. Though you did not ask my opinion … I am nevertheless obligated to communicate my opinion that the whole idea of a German translation … will help neither the teacher nor the students, on the contrary, it will sabotage their learning and confuse the teacher and his students. For in our country, the children who begin to study in school do not yet know pure German, but rather the language that is spoken in their mother’s home … Neither do the adults understand it. It is therefore impossible to train the people, young and old, to speak fluent German and to eradicate the language that has been current in these provinces for hundreds of years. 12 12 Shalom DovBer Levine (ed. ), Igrot Qodesh Admor Ha-Tsemaḥ Tsedeq (New York: Kehot Publication Society, 2013), 77. On Mandelstamm see Yehuda Slutsky, “Mandelstamm, Leon,” in Encyclopaedia Judaica Vol. 13, eds. Michael Berenbaum and Fred Skolnik (Macmillan, 2007), 465. The rhetoric of the Tsemach Tsedek’s argument emphasises practical pedagogical concerns relating to the ability of young students to gain knowledge through the medium of a language that they and their teachers are both unfamiliar with. He also invoked the historic significance of Yiddish (“the language that has been current in these provinces for hundreds of years”). But it is clear from the context that he was at least as motivated by his ideological concern to protect the traditional curriculum from Haskalah influences. In the very next paragraph he reminds Mandelstamm that the commission agreed that the Tanakh would be taught in accord with the interpretation of Rashi, “therefore it is impossible that the teachers should follow the German translation, which in many places differs from Rashi’s explanation.” Mandelstamm, it appears, wanted to replace Rashi with the Biur of Moses Mendelssohn, and even went so far as to falsely claim that the Tsemach Tsedek (among other rabbis) had given his approbation to a new edition of the Bible published “by order of the government” in 1852. 13 13 A volume of Exodus is held by University of Toronto Libraries. It has separate title pages for the German and Hebrew sides; the former states that it was printed in St. Petersburg, the latter that it was printed in the Rom Press, Vilnius. The phrase “by order of the government” appears in the Hebrew side on the page following the list of rabbis to whom approbations were attributed. The Tsemach Tsedek and his supporters systematically lobbied against such Maskilic impositions with substantial success. 14 14 Lurie, The Habbad Movement, 83-93. It is fitting that you and your wife should work to accustom your son to speak and understand Yiddish [at home]. In school, until he becomes accustomed to Yiddish, he should learn in the language that he is most accustomed to in order to acquire more knowledge. 15 15 Shalom DovBer Levine (ed. ), Igrot Qodesh Admor Ha-rashab, Vol. 2 (New York: Kehot Publication Society, 1986), 824. The generators of the Zionist ideology … replaced the entire Torah with nationalist ideology … and therefore set themselves resolutely to take the Holy Land, not for the sake of its holiness and the purity of the place, but for the sake of nationalism … for there is no nationalism without a country … and for this reason too they have taken up this language, for there is no country of stature without a language … 16 16 Shalom DovBer Levine (ed. ), Igrot Qodesh Admor Mi-lubavitch, Vol. 15, (New York: Kehot Publication Society, 2003), 128. It is important to note that neither the Tsemach Tsedek nor Rashab ascribed any special spiritual value to Yiddish itself. Their ideological stance was primarily formulated in opposition to those who wanted to upset the religious status quo among the Jews of Eastern Europe. They understood that language was the key to culture. To replace Yiddish with German was to replace traditional Jewish life and identity with an ethos of acculturation and, ultimately, assimilation. To replace Yiddish with Hebrew was to abrogate adherence to Torah law as the mainstay of Jewish survival and replace it with Jewish nationalism. 17 17 For more on the ideological battles waged by Rashab, and on his pedagogical and political activism see Naftali Yosef Brawer, Resistance and Response to Change: The Leadership of Rabbi Shalom DovBer Schneersohn (1860-1920) (Unpublished PhD Thesis, University College London, 2004); Iliah Lurie, Lubavitch and its Wars: Chabad Hasidism and the Fight for the Image of the Jewish Society in Czarist Russia (Unpublished PhD Thesis, Hebrew University, 2009). Direct discussions of the value of Yiddish are first encountered, in the Chabad context, in the writings of the sixth Rebbe, R. Yosef Yitzchak Schneersohn (Rayats, 1883-1950). The tenure of his leadership coincided with two great upheavals in Jewish life. First, WWI and the Russian Revolution, which effectively put an end to the semi-rural shtetl life that had been the norm in Russia’s Pale of Settlement. Henceforth Jewish life was increasingly centered in large cities, and not only in Moscow, Vilnius, and Warsaw, but also in Vienna, Berlin, Paris, London and New York. 18 18 On the impact of WWI and the Russian Revolution on Jewish populations, with particular reference to the case of Chabad, see Andrew N. Koss “War Within, War Without: Russian Refugee Rabbis during World War I,” AJS Review 34, no. 2 (November 2010), 231–263; Eli Rubin, “Purim in Petrograd, 1917: Rabbi Shalom DovBer of Lubavitch and the Russian Revolution,” Chabad.org <chabad.org/3975372> (accessed April 8, 2018); Shalom DovBer Levine (ed. ), Toldot Chabad Be-rusya Ha-suviyetit (New York: Kehot Publication Society, 1989), esp. 1-3; Idem., Toldot Chabad Be-polin, Lita Ve-latviya (New York: Kehot Publication Society, 2011), 19, 46-7. Second, WWII and the Holocaust; those who survived physical extermination were subsequently faced with the challenge of ensuring that their spiritual and cultural legacy would endure for future generations. 19 19 On the post-Holocaust activities of Rayats see Shalom DovBer Levine (ed. ), Toldot Chabad Be-artsot Ha-brit (New York: Kehot Publication Society, 1988), 166-374. See the relevant discussion in Wolfson, Open Secret, 224-5. On leaving the Soviet Union in 1927 Rayats was quick to recognize the new linguistic and cultural challenges that urbanization and the geographic dispersal of Jewish populations had precipitated. The processes of secularization that the Rashab had sought to stave off were now a palpable reality. For many European Jews Yiddish was no longer the language of choice. Though still widely spoken, it was now in competition with other languages, and was already acquiring nostalgic associations. 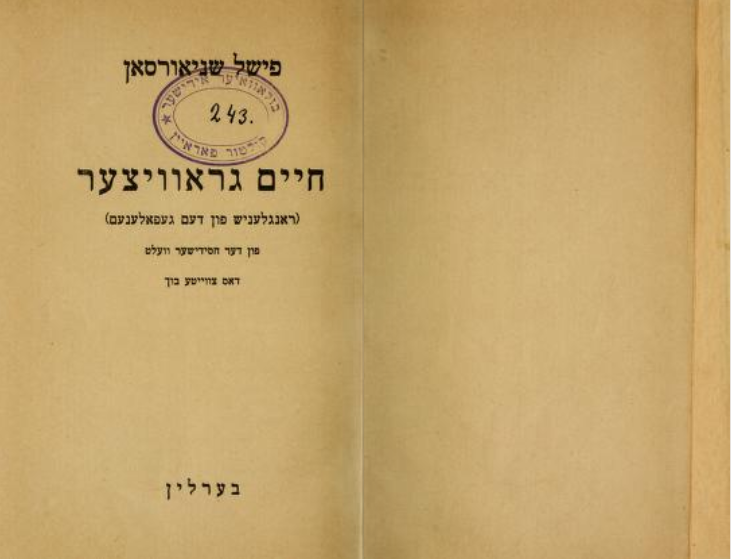 It is striking that Rayats chose Yiddish, rather than Hebrew, as the language of his first published discourse, which appeared as a pamphlet prior to Rosh Hashanah 1928, in Riga, where he then resided. His introduction to this pamphlet, which is written in Hebrew, sheds some light on his motives. It is addressed to Hasidim and graduates of the Chabad yeshivot “in each and every place,” and calls upon them to “remember the bygone days when you were in the land where your fathers and forefathers were born … whose efforts in the study of Hasidic teachings and good conduct were legendary, to them you shall cleave, instilling [their legacy] within your children …” 20 20 R. Yosef Yitzḥaq Schneersohn, Mamar Qinyan Ha-ḥayim (Riga, 1928), 4; Idem., Sefer Ha-mamarim - Quntreisim, Vol. 1 (New York: Kehot Publication Society, 2010), 1. This is a rallying call for the Hasidim and their descendents who were now displaced from their home country and dispersed. In bygone years their ancestors would have made the pilgrimage to Lubavitch to spend the Days of Awe in the Rebbe’s court, but the court in Lubavitch was no more, and the Rebbe was in exile. It is possible that Rayats deliberately chose to write and publish this discourse in Yiddish in order to better invoke the experience of hearing the discourse directly from the Rebbe’s mouth. But it is also clear that he wanted to make it as accessible as possible to as many people as possible. On the day following Rosh Hashanah he wrote to the Hasid Alexander (Sender) Yitshak Reinin, extending “special blessing to your wife for her effort translating the discourse … it shall be a great merit that those who don’t understand another language are able to study it.” 21 21 Shalom DovBer Levine (ed. ), Igrot Qodesh Admor Harayats Vol. 16 (New York: Kehot Publication Society, 2016), 217. This implies that it was in fact Mrs. Sylvia Reinin who prepared this Yiddish discourse for publication, perhaps translating it from an earlier Hebrew version that has not been preserved. 22 22 The key word here is “hataqat,” which could refer either to translation or to copying. In a subsequent letter exploring the possibility of translating this discourse into Georgian (Ibid., 496) Rayats emphasizes that he wants it to be translated into “the language spoken fluently among the common folk and not the language spoken among scholars, for in every language there is the most grammatically precise form, which is only used by scholars, and also the form that the common folk use.” It is possible, accordingly, that Rayats originally wrote it in a more scholarly Yiddish, rather than Hebrew, and that Mrs. Reinin rewrote it in more accessible form. In subsequent letters Rayats expresses his desire that this discourse be translated into German, French, English, Italian and Russian and “the languages of the East (ha-mizrakh ve-ha-kedem), like the Yemenite, Bukharian and Georgian languages.” In other letters he says that hasidim should study it “with their households, men and women,” and notes that the Yiddish version was widely distributed beyond Riga, and also published in Newark, where it was well received. 23 23Ibid., 240-241, 254, and 256. 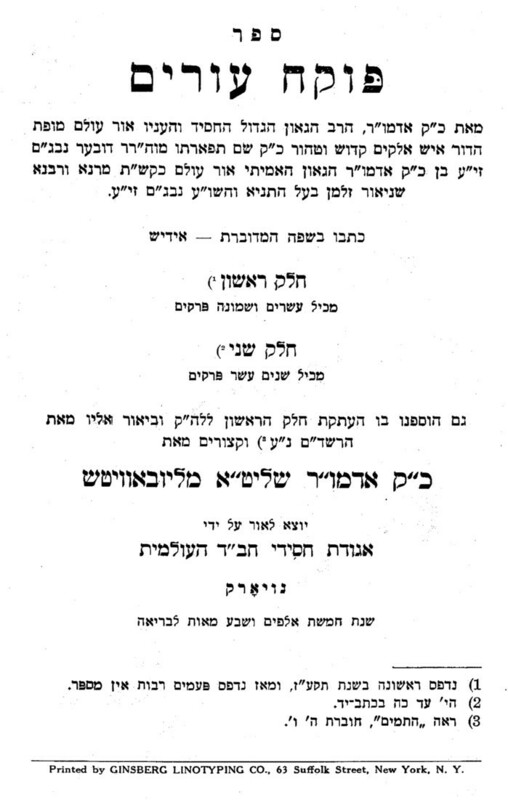 It is notable that the Yiddish tract Poqe’aḥ Ivrim was also republished by the Newark based Agudat Hasidei Chabad organization, in 1940. On further efforts to translate and disseminate Hasidic teachings during the interwar period, on the roles played by women in these activities, and also on the involvement of the son-in-law of Rayats, R. Menachem M. Schneerson, see Idem., Igrot Qodesh Admor Harayats Vol. 15 (New York: Kehot Publication Society, 2011), 245, and Idem., “Introduction,” Igrot Qodesh Admor Harayats Vol. 4 (New York: Kehot Publication Society, 2016), 12; Mordechai Menashe Laufer, “Hasidut Meturgemet,” Hitqashrut 630 (2006): 9-13; Naftali Loewenthal, “Spiritual Experience for Ḥasidic Youths and Girls in Pre-Holocaust Europe – A Confluence of Tradition and Modernity,” in Jewish Spirituality and Divine Law, eds. Adam Mintz and Lawrence Schiffman (Jersey City: Ktav, 2006) 442. Also see Ada Rapoport-Albert, “From Woman as Hasid to Woman as “Tsadik” in the Teachings of the Last Two Lubavitcher Rebbes,” Jewish History 27 (2013): 435-473. For Rayats, Yiddish was a linguistic bridge that could maintain the connection between Hasidim and their past, and also connect broader audiences to Hasidic teachings, ultimately including those who spoke neither of Hasidism’s native languages. His focus on Yiddish intensified following his move to the United States, with the serialized publication of discourses in Yiddish, subsequently collected in a single volume, Sefer Mamarim - Yiddish (1946). Dating from this period we also find talks and letters in which he reflects on the significance of Yiddish as the linguistic medium via which the sacred can permeate the mundane realm, a notion that reflects the central Chabad ideal of transforming the entire world into a divine abode. ר' גרשן בער איז געווען א טיפער עמקן אין חסידות אבער א מקצר בדבורו, ער פלעגט פארטייטשן אלץ אויף אידיש … ער האט אמאל געפרעגט בא החסיד ר' פרץ, רב פון נעוועל און דערנאך אין טשערניגאוו, אויב ער מעג פארטייטשן דעם דאוונען אויך במקום שאסור להפסיק, האט אים החסיד ר' פרץ געזאגט, צוליב וואס דארפסטו דאס, האט ער אים געענפערט, מיין נפש הבהמית פארשטייט בעסער אויף אידיש. Reb Gershon Ber was a person who delved deeply into Hasidic teachings and a person who was concise in his speech. He would paraphrase everything in Yiddish … He once asked the Hasid Reb Perets, the rabbi of Nevel and later Chernigov, if he is permitted to paraphrase his prayers even [at a point in the liturgy] where it is forbidden to interrupt. The Hasid Reb Perets responded, “why do you need [to do] this?” He answered him, “my animal soul understands better in Yiddish.” 24 24 R. Yosef Yitshak Schneersohn, Sefer Ha-siḥot 5701 (New York: Kehot Publication Society, 1986), 54. Reb Gershon Ber’s answer reveals the dialectical character of Yiddish as a bridge that can cross the divide between the sacred and the mundane. Hebrew is the language that the G-dly soul (nefesh ha-eloqit) understands. But if the prayers are to transform his entire self, including the earth-bound animal soul (nefesh ha-behamit), he knows he must pray in Yiddish. The doctrine of the two souls invoked by Reb Gershon Ber is one of the cornerstones of the psychological model developed by R. Schneur Zalman in his foundational work of Chabad teachings, Likutei Amaarim—Tanya. 25 25 On this topic also see Naftali Loewenthal, Communicating the Infinite, 54-59; Rachel Elior, The Paradoxical Ascent to God: The Kabbalistic Theosophy of Chabad Hasidism (Albany: State University of New York Press, 1993), 115-124; Ariel Evan Mayse, “The Sacred Writ of Hasidism: Tanya and the Spiritual Vision of Rabbi Shneur Zalman of Liady,” in Books of the People: Revisiting Classic Works of Jewish Thought, ed. Stuart Halpern (New York: Maggid and Yeshiva University Press, 2017), 109-156. Here we find that the self is a contested site, sometimes understood to be animalistic and alienated from G-d, and sometimes understood to be intimately bound with G-d’s own self, “like one who embraces the king.” 26 26Likutei Amaarim—Tanya, Chapters 4 and 16 (Vilna, 1900), 9a and 22a (17 and 43 in Arabic pagination). In one instance R. Schneur Zalman goes so far as to declare that “the other [unholy] side (sitra akhara) is the very person himself.” 27 27Ibid., Chapter 29, 36a (71). On the other hand he also emphasizes not only that the body is home to the G-dly soul, but that in the moments that a person engages in holy thought, speech, and action the G-dly soul wrests the self from the grasp of the animal soul. 28 28Ibid., Chapter 2, 6a (11); Ibid., Chapter 4, 8b (16). In those moments, in other words, the self is entirely G-dly. One’s thoughts are divine thoughts, one’s speech divine speech, and one’s actions divine actions. Even one’s bodily organs and limbs are thereby sanctified. 29 29Ibid., Chapter 23, 28a-b (55-56). דער גאנצער מיין אין טבע (נאטור) איז צו קומען צו למעלה מן הטבע (העכער פון נאטור)… דער שכל פון נפש האלוקית גיט צו פארשטיין דעם נפש הבהמית דעם טוב פון אלקות מיט אזעלכע פארשטאנדען וואס דער נפש הבהמית קען זיי אויך פארשטיין, ווייל דער נפש הבהמית האט שכל קען ער פארשטיין אז אלקות איז גוט… וואס דאס קען דער נפש הבהמית גוט באגרייפען מיט געוויסע שכל'דיקע ראיות, אז אין דוט איז פאראן חלוקי דרגות, עס איז פאראן די גוט פון גוטע מאכלים, העכער פאר דעם איז דער גוט פון ניגון, העכער פון דעם איז דער גוט פון מדות טובות, העכער פון דעם איז דער גוט פון פארשטאנד… שכל ציט זיך צו פארשטיין וואס העכער פון שכל, און מדות זיינען א המשכה צו נידעריגער פון זיך… פון צייט צו צייט ווערט דער שכל פון נפש הבהמית נעהנטער צו פארשטיין א שכל אלקי ביז דער נפש הבהמית קומט צום פארשטאנד אז דער טוב פון אלקות איז דער טוב האמיתי, און אז אט דעם טוב באדארף דער מענטש וועלען… דער נפש הבהמית קומט אויך צו אהבה לאלקות. The entire purpose of nature is to arrive at a station that transcends nature… The intellect of the G-dly soul gives the animal soul to understand the goodness of G-dliness with such concepts that the animal soul too can understand. Since the animal soul has intellectual capacity, it can understand that G-dliness is good… The animal soul can grasp very well, with certain logical proofs, that in goodness there are different stations: there is the goodness of good foods, loftier than that is the goodness of music, loftier than that is the goodness of good character traits, loftier than that is the goodness of understanding… Intellect strives to understand that which is beyond intellect, whereas emotion is drawn to that which is lower than the self… With the passing of time the animal soul can become ever closer to understanding a G-dly concept, to the point that the animal soul comes to understand that the goodness of G-dliness is the true good, and that this is precisely the good that a person should desire… the animal soul too comes to love G-dliness. 32 32 R. Yosef Yitshak Schneersohn, Sefer Hamaamarim—Yiddish (New York: Kehot Publication Society, 1946), 110-111. This is the dialogue that the beinoni has with “the other [unholy] side (sitra akhrah) that is the person himself,” a prayerful attempt to persuade the self-as-other to overcome its alienation and to enter the intimate embrace of the self of G-d. In the anecdote about Reb Gershon Ber of Pahar this conception of the self as a contested site is related to Yiddish. Unlike the Holy Tongue, Yiddish is the language of intimacy for the animal soul—for the embodied, earthbound, self. Yiddish, like the beinoni, straddles an existential divide between the mundane and the sacred. The linguistic poverty of the animal soul consequently gives rise to a linguistic opportunity, the opportunity to speak intimately with the alienated, and thereby, to replace alienation with intimacy. Yiddish is therefore the fitting linguistic medium for the sacralization of the self. In a letter penned by Rayats in 1947 he recalled an informal talk delivered during his own Bar Mitzvah celebration, in the summer of 1893, by his father, Rashab. Here this concept of linguistic intimacy and the spiritual value of speaking in vernacular Yiddish is attributed to the latter, and associated with another phenomenon that has already been noted by scholars: Even in the Hebrew language writings of the successive Chabad rebbes, we find that occasional reversions to vernacular Yiddish (laaz verter) coincide with invocations of particular subtlety or urgency, such as sublime states of intellection or emotion: 33 33 See Loewenthal, Communicating the Infinite, 174; Ariel Mayse, “The Sacred Writ of Hasidism,” 155, n. 47. די בלע״ז ווערטער וואס אין די מאמרי חסידות איז די כוונה דורך זיי איבערגעבן דעם ווארט אז ער זאל קלאר פארשטאנען ווערן אן קיינע ספיקות, אז מען זאל ניט בעדארפן קיינע דערקלערונגען. ווארום דער נפש הבהמית בכלל און דער יצר הרע בפרט איז דער ערשטער קירוב זייערער צו מבלבל זיין דעם מענטשען און אים מונע תו זיין פון קיום המצות אדער פון הנהגה במדות טובות … און די עצה היעוצה וואס חסידות גיט צו דעם איז אז מען זאל ידער ענין אין חסידות מסביר זיין זיך אליין אויף דער שפראך וואס מען רעט וועגן אלע לעבנס ענינים. The purpose of the Yiddish terms that appear in Hasidic discourses is that through them the meaning is communicated in a form that will be clearly understood, without any doubts, so that no explanations will be required. For the first move of the animal soul, generally, and specifically the evil inclination, is to confuse the person and to hold him back from mitzvah observance or from conducting himself with good character … and the sound solution prescribed by Hasidic teachings is that one should explain each Hasidic concept to oneself in the language in which one speaks of all matters of life … 34 34 Shalom DovBer Levine (ed. ), Igrot Qodesh Admor Harayats Vol. 9 (New York: Kehot Publication Society, 1987), 367. דאס איז איינע פון די אמעריקאנער חסרונות ואס די עלטערין האבין זייערע קינדער ניט גיגעבין אפילו דעם דארין אויסגעטריקינין אידעשע ערציאונג אז מי זאהל קאנען ליינען און פארשטיין די אידעשע גלות שפראך. This is one of the shortcomings of America, that the parents did not give their children even the most withered, dried up, Jewish interest, that they should be able to read and understand the Jewish exile-language. 37 37Idem., Igrot Qodesh Admor Harayats Vol. 13 (New York: Kehot Publication Society, 1998), 309. The concept of Yiddish as a Jewish language, with a value beyond that of other vernaculars, would be more fully developed by the successor and son-in-law of Rayats, R. Menachem Mendel Schneerson, the seventh Rebbe of Chabad-Lubavitch. The latter would reexamine the role of Yiddish in Hasidism and reinterpret the positions taken by his predecessors. For him, the status of Yiddish as “the Jewish exile-language” (golus shprakh) meant that through this particular language the redemptive purpose of exile could be realized. At the outset of Elliot Wolfson’s magisterial study of the messianic vision of the seventh Rebbe, it is emphasized that his conception of Hasidic teachings as the disclosure of the yeḥidah—the “essential point” (nekudah atsmit) from which all the particulars unfold and in which all the particulars are enfolded—is an axiomatic key to understanding his thought. For the seventh Rebbe, Hasidic teachings are the yeḥidah of the Torah, and the Messiah is the yeḥidah of the world. The same principle is at work in his understanding of the history of Hasidism, and of his own relationship to his predecessors. In Wolfson’s words, “the seventh Rebbe—in an act of utmost humility—makes himself into such a point, his voice echoing the voices that came before him … All seven masters of Chabad-Lubavitch are bound together in such a way that in each one the sum of all the others is to be found.” 38 38 Elliot R. Wolfson, Open Secret, 17. See R. Menachem M. Schneerson, “Quntras Inyanah Shel Torah Ha-ḥasidut” in Sefer Ha-erkhim Chabad, ed. Yoel Kahn (New York: Kehot Publication Society, 1970), 760-1. די איבערזעצונג פון דער תורה פון לשון הקדוש אויף א גלות שפראך, אין תרגום, איז געווען צוליב דעם וואס אין זמן הגלות האבן ניר אלע פארשטאנען לשון קודש. דאס מיינט, אז דורך תרגום האט מען ממשיך געווען תורה און לשון קודש אויך אין א לשון חול, אז אויך פון חול זאל ווערין קודש. און דאס איז א הכנה צו דער גאולה העתידה. The translation of the Torah from the Holy Tongue into an exilic language, into targum, was because in exile not everyone understood the Holy Tongue. This means that through translation we drew the Torah and the Holy Tongue into a secular language, that the secular too shall become sanctified. And this is a preparation for the future redemption. 39 39 My translation follows the edited version of the talk as published in the authoritative series Liqutei Siḥot Vol. 3 (New York: Kehot Publication Society, 1964), 873. For an audio recording of the original talk see Chabad.org <Chabad.org/550436> (accessed April 12, 2018). For video footage (without audio), see Ibid., <Chabad.org/ 618965> (accessed April 12, 2018). Exile is synonymous with the inhibition of holiness. Yet the sacred purpose of exile is that a more wholesome and ubiquitous holiness shall be achieved through a transformative process of universal redemption. The linguistic poverty that arises from exile (“not everyone understood the Holy Tongue”), accordingly gives rise to a linguistic opportunity (“secular language … too shall become sanctified”). 40 40 Though especially emphasized in the thought of the seventh Rebbe, this notion of the Messianic potential contained within the exilic state can be traced to the statement of R. Schneur Zalman of Laidi, in Likutei Amaarim—Tanya, Chapter 37, 46b (92): “This ultimate completeness of the Messianic era and the revival of the dead, which is the disclosure of the infinite revelation of G-d in this physical world, depends on our actions and efforts through the time span of the exile.” For more on this theme, see Eli Rubin, “The Idealistic Realism of Jewish Messianism,” Chabad.org <chabad.org/2766417> (accessed March 26, 2018). ער האט געפרעגט משיח'ן: ווען וועט משיח קומען? און די תשובה פון משיח'ן: אז ער וועט קומען ווען די קוואלן פון חסידות וועלן פאשפרייט ווערן אין דערויסן … רשב"י און אויך די אריז"ל האבן דאך מגלה געווען פנימיות התורה נאר צו יחידי סגולה, און דאס אויך מיט הגבלות, גילוי המשיח וועט דאך זיין נאר ווען פנימיות התורה וועט נתגלה ווערן אין אן אופן פון הפצה דוקא, און אומעטום ביז אין חוצה, און דער ענין האט זיך אנגעהויבן פון דעם בעל שם טוב. He asked the Messiah: When will the Messiah come? And the answer from the Messiah [was]: When the fountains of Hasidic teachings become disseminated in the outside… While R. Shimon bar Yoḥai and R. Isaac Lurie revealed the interiority of the Torah only to a privileged few, and this too within certain constraints, the revelation of the Messiah will only come when the interiority of the Torah is specifically revealed in a manner of dissemination, and everywhere, including the outside, and this began with the Baal Shem Tov. 41 41Ibid., 872. For discussions of the manuscript sources of this exchange in a letter addressed by the Baal Shem Tov to his brother-in-law, R. Gershon of Kitov, as well as the particular significance of this exchange in contemporary Chabad, see Naftali Loewenthal, “The Baal Shem Tov’s Iggeret HaKodesh and Contemporary Habad ‘Outreach,’” in Let the Old Make Way for the New, eds. David Assaf and Ada Rapoport-Albert (Jerusalem: Merkaz Zalman Shazar, 2009), 69-101. See also below, n. 53. He drew down and enabled Hasidic teachings to be understood even for those … who don’t understand the Holy Tongue, or even Yiddish: The Rebbe directed that Hasidic teachings be translated into the vernacular … including into English and French etc. It is accordingly understood that it was the Rebbe [i.e. Rayats] who made the last, literally the last preparation for the redemption … 42 42Ibid., 876. In the same 1981 talk the seventh Rebbe emphasized that despite the “Jewishness” of Yiddish it was also understood by his predecessors as a secular vernacular. Here he cited Rashab’s insistence on maintaining Yiddish as the language of everyday discourse, and his resistance to Hebrew revivalism, which he saw as a secularization of the Holy Tongue. Rashab maintained that Hebrew should be reserved for prayer and the sacred discourse of Torah study, but did not extend this reservation to Yiddish, which he understood to be a mundane tongue “like all the seventy languages.” 44 44 See Shalom DovBer Levine (ed. ), Igrot Kodesh Admor Ha-rashab Vol. 2 (New York: Kehot Publication Societ, 1986), 816-824. פון דעם וואס די אמירת החסידות פון רבינו נשיאינו איז געוועו איו אידיש—איז א ראי', אז אין איר (נאך איידער מען האט איר גענוצט אויף צו זאגן חסידות) איז דא א מעלה לגבי אנדערע לשונות, וואז זי איז מוכשר צו אמירת החסידות. From the fact that our rebbes, our leaders, delivered Hasidic teachings specifically in Yiddish we can infer that in it (even before we used her to deliver Hasidic teachings) there is an elevated quality in comparison to other languages, that it is fit for the delivery of Hasidic teachings. 45 45 R. Menachem Mendel Schneerson, Ibid., 448. What is this quality that is inherent uniquely to Yiddish? As we have already seen, it is precisely the ambivalent status of Yiddish as both sacred (“Jewish”) and secular (“like all the seventy languages”) that makes it a fitting vehicle for the dissemination of Hasidic teachings. It is possible that the Rebbe did not elaborate the point in his 1981 talk because he had already done so in the 1952 talk discussed above, which was edited and published in 1964. Yet the message is clear: The purpose of Hasidic teachings is the transformation of the secular into the sacred, the dissemination of the fountains of the Baal Shem Tov to the outside, the disclosure of the redemptive potential that the exile carries. Yiddish is accordingly the language of Hasidism precisely because it is the language that is at once sacred and secular, and which can reveal the sacred within the secular. Yiddish straddles these disparate realms and is therefore particularly suited to form a bridge between them. The seventh Rebbe’s reading of this dialectic is thrown into sharp relief when we compare it to the diagnosis of Joshua Fishman, that “The co-presence of Loshn-koydesh and its honorific status, on the one hand and the arrival of the Enlightenment …, on the other hand, led to widespread inferiority feelings … with respect to Yiddish … given that Yiddish had neither exalted sacred nor exalted secular utility.” 46 46 Joshua A. Fishman, Yiddish: Turning to Life (Amsterdam and Philadelphia: John Benjamins Publishing, 1991), 13. The ambivalent stature of Yiddish, as highlighted by Fishman, is dramatically recast by the seventh Rebbe as an asset whose redemptive utility is cosmic in reach. Likewise, the value of Yiddish in the present is not reduced to nostalgia—a focus on a lost past—but is rather elevated in the linguistic construction of the messianic future. דעד ענין פון יפוצו מעינותיך חוצה וואס איז געווען בא כ"ק מו"ח אדמו"ר איז געווען אין אן אופן אז דאס האט דערגרייכט אין חוצה ממש, ביז אין חוצה שאין חוצה ממנו, ווארום ער האט איבערגעזעצט ענינים פון מעינותיך, פון רזין און רזין דרזין דאורייתא אין די שבעים לשונות. און ער האט דאס איבערגעזעצט אין אן אופן אז דארטן זאל זיין די גאנצע הבנה והשגה וואס איז דא אין פנימיות התורה, וואס דאס איז דאך דער ענין פון תורת חסידות חב"ד, אז דאס זאל ארפקומען אין הבנה והשגה כפשוטו … ביז אז אפילו א גוי כפשוטו קען דאס פארשטיין. The dissemination of the wellsprings that was [pioneered] by my father-in-law, the Rebbe [i.e. Rayats], was such that it reached into the ultimate ‘outside,’ even into the ‘outside’ that has no ‘outside’ beyond it, for he translated aspects of the wellsprings, secrets and secrets-of-secrets of the Torah into the seventy languages. And he translated in such a form that the full understanding and comprehension that is in the interiority of Torah should be there, this being the objective of Chabad Hasidic teaching, that it should be drawn down into understanding and comprehension, in the literal sense… to the degree that even a non-Jew, in the literal sense, can understand it. 47 47 R. Menachem Mendel Schneerson, Siḥot Qodesh 5740 Vol. 1 (Brooklyn, 1986), 804. It emerges that Yiddish is a linguistic bridge, not only to the Jewish past and to the Jewish masses, but also between the Holy Tongue and the seventy languages of the nations. The teachings that were originally communicated in Yiddish must ultimately be translated beyond the particularist languages of the Jews. Only then can the secrets resonate universally, and only then will the universal redemption of the messianic advent be within reach. The main thing constantly is to make oneself be in awe before G-d, as it says “happy is the man who is constantly fearful.” That is, one should believe that G-d fills the world, as it says “the heavens and the earth I fill,” and as He created the worlds at the outset so he creates them every day, as is said [in the daily prayer liturgy], “He renews in his goodness, every day, constantly, the work of creation.” For at the outset he did not create you by compulsion, but rather by His will. Without His will, existence would not continue even for a moment… Therefore one must immediately guard one’s mind, like one’s actions … that one shall be bound onto G-d constantly.” 48 48 Shalom DovBer Levine and Yehoshua Mondshine (eds. ), Igrot Qodesh Admor Ha-zaqen (New York: Kehot Publication Society, 2012), 427-8. While most of the letter is written in a passive, collective, or third person voice, at a crucial point it switches to the second person, emphasizing that G-d is not merely engaged with creation, in general, but with the particular addressee personally: “He did not create you by compulsion, but rather by His will.” There are three fundamental points here that the addressee must consider: 1) G-d fills the world. 2) G-d is constantly recreating the world anew. 49 49 It is noteworthy that these two points are the central themes developed and applied by R. Schneur Zalman in the second section of Likutei Amaarim—Tanya, titled Shaar Ha-yihud Ve-ha-emunah, which is devoted to an explanation of the “singularity and unity” of G-d and—thereby—to the provision of a reservoir of contemplative material that can inspire love and awe in the worship of G-d.
What do you think? This is fish? This is not fish! Rather the word of G-d stands in it one moment after the next and compels it [to be so], He speaks constantly and says, “you shall be fish!” He compels it [to be so] with His command… What do you think? This is a hand? This is not a hand… 51 51 R. Shalom DovBer Schneersohn, Sefer Ha-siḥot—Torat Shalom (New York: Kehot Publication Society, 1946), 3. While the internal literature describing and theorizing Chabad’s doctrine of divine immanence is immense, it is specifically in these Yiddish texts that this doctrine is given its plainest and most powerful expression. As has already been noted, Yiddish is not the language of scholars and the sacred; Yiddish is the language of life. It is therefore the Yiddish articulations of this doctrine that best reflect the concrete and unmediated intimacy of G-d’s presence within the world and within ourselves. According to the seventh Rebbe, this is not simply because Yiddish was the vernacular in which all worldly affairs were discussed, but is rather testimony to the sacred status of Yiddish as the redemptive bridge via which Hasidic doctrine could permeate the mundane world. While the seventh Rebbe’s theorization of Yiddish as the language of redemption is certainly a novel contribution, the theorization of language as the vehicle of divine revelation and immanence was already a central feature in early Hasidism as well. Much scholarship has already been devoted to this topic, and it continues to preoccupy scholars, but here we will restrict ourselves to sources that were explicitly invoked in the seventh Rebbe’s discussions of Yiddish, and which have already been mentioned above. 52 52 Relevant discussions include, Moshe Idel, ‘Modes of Cleaving to the Letters in the Teachings of Israel Baal Shem Tov: A Sample Analysis’, in Jewish History 27.2-4 (2013), 299-317; Rachel Elior, The Mystical Origins of Hasidism, trans. Shalom Carmy, (Oxford: The Littman Library of Jewish Civilization, 2006), 41-58; Tsippi Kauffman, In All Your Ways Know Him: The Concept of God and Avodah be-Gashmiyut in the Early Stages of Hasidism, (Tel Aviv: Bar Ilan University Press, 2009), 77-82, 149-160; Ron Wacks, “The Yihud in Speech in Hasidism,” Daat 57-59 (2006): 143-163; Loewenthal, Communicating the Infinite, 154-6; Evan D. Mayse, Beyond the Letters: The Question of Language in the Teachings of Rabbi Dov Baer of Mezritch (Unpublished PhD Dissertation, Harvard University, 2015). But this I make known to you and G-d shall be your aid … during your prayer, and [Torah] study, and in each and every word and verbal articulation, you shall intend to unify the divine name, for in each and every letter there are worlds and souls and divinity, and they arise and are bound and united with one another, and thereby the letters are bound and united in a word and united in true union with divinity, and your soul is encompassed with them … and all the worlds are united as one and ascend making joy and great pleasure without measure. 53 53 My translation follows the version of the text most often referred to within Chabad as published in Jacob Immanuel Schochet (ed. ), Keter Shem Tov Ha-shalem (New York: Kehot Publication Society, 2004), 5. The scholarly literature on the various versions of this letter, and on the significance of its contents, is vast. For the most up-to-date review and discussion of the literature see Chaim Elly Moseson, From Spoken Word to the Discourse of the Academy: Reading the Sources for the Teachings of the Besht (Unpublished PhD Dissertation, Boston University, 2017), 35-117. Also see Mayse, Beyond the Letters, 167-8, and above, n. 41. In short, divinity inheres in all speech. The focus of prayer, Torah study, and all other speech forms, is that the words shall raise up the individual who speaks them and ultimately enfold the entire cosmos in divine union. In transpires that the Messianic advent and the dissemination of the Baal Shem Tov’s wellsprings were already linked to speech and language from the outset. Yet, in the seventh Rebbe’s discussion of Yiddish, this implicit linkage is explicated, amplified, and transformed. If, while praying, one hears someone talking, he shall say ‘Why did G-d bring that person to speak and interrupt my prayer? Is not all this with the specified providence of G-d? Indeed, the speech is the indwelling of G-d. And the indwelling of G-d has rested (ve-shartah ha-shekhinah) in the mouth of that person so that I shall strengthen myself for the service of G-d that is prayer.’ This is especially the case if the person speaking is a non-Jew or a child. 55 55Sefer Tsavaat Ha-Rivash, #120. Rather these are collections of his pure sayings that were collected one by one, and they did not know how to precisely cite his phraseology according to its form, but the intention is perfect in its truth (emet le-amito) … for the Baal Shem Tov spoke in Yiddish and not in the Holy Tongue (lashon ha-kodesh) … ” 56 56 This letter was first published in an appendix to the Shklov 1814 edition of Likutei Amaarim—Tanya. In the standard editions of this work (Vilna 1900 and on) it can be found on pages 138a (275) - 142a (283), as Epistle #25. For more on the provenance of this letter, and its publication history, see Levine and Mondshine (eds. ), Igrot Qodesh Admor Ha-zaqen, 149-157. The relevance of this text for the question of the role of Yiddish in Hasidism has already been noted. See Daniel Reiser, “The Hasidic Sermon,” 14. 57 57 R. Menachem Mendel Schneerson, Siḥot Qodesh 5720 (Brooklyn, 1985), 175-176. Specifically, R. Schneur Zalman argued, the misunderstanding depends upon the use of the Hebrew word “shartah,” which implies that the divine presence might “rest,” without disturbance and without constraint, within an entity that explicitly intrudes upon the holy service of prayer. The compilers would have done better to use the word “nitlabshah” instead as this would imply that the indwelling divine presence is inhibited and concealed by the extraneous guise of corporeality in which it is “vested” and “in a state of exile.” 58 58 On the notion of the exile of the Shekhinah in the Jewish mystical tradition, see Rachel Elior, “Exile and Redemption in Jewish mystical thought,” Journal of the Interdisciplinary Study of Monotheistic Religions (JISMOR) 4 (2008): 11-24. For discussions of the terrestrial indwelling of the shekhinah and questions of incarnation and heresy in Judaism, Christianity and Islam, see Diana Lobel, “A Dwelling Place for the Shekhinah,” The Jewish Quarterly Review 90, no. 1/2 (1999): 103-25. Ostensibly, the discussion of Yiddish at the beginning of the letter is a mere technicality, and qualitatively unrelated to the real topic at hand. But for the seventh Rebbe the question of why the Baal Shem Tov taught in Yiddish is inextricably linked to the question of how the indwelling of G-d can be raised up from her state of exile. ס׳קאן דאך ניט זיין אז שכינתא בגלותא און בני ישראל בגלותא, און דאס זאל אזוי פירן. און עס קאן ניט זיין די ארויסגיין פון גלות (ווי את זאגט אין זהר וכמבואר בארוכה אין קבלה) עד דמטי רגלין ברגלין, ביז וואנעט דער בירור וועט דערגרייכן אז מ'וועט אוועקשטעלן די עקבים פון עקבתא דמשיחא ווי זיי דארפן זיין. און ס'איז א כלל אין בירור אז מ'קען ניט מברר זיצנדיק ביי זיך אפגעשלאסן… דערפאר איז ווי דער אלטער רבי שרייבט אין אגרת הקודש אז די תורות פון בעל שם טוב זיינען געזאגט געווארן אין אידיש, ניט אין לשון הקודש, וואס לכאורה איז דאס ניט פארשטאנדיק: פארוואס האט דער בעל שם טוב ניט געקאנט זאגן אין לשון הקודש? ס׳איז דאך א ענין פון תורה, ובפרט אז מען האט דערנאך מעתיק געווען און פארשריבן אויף לשון הקודש. ובפרט לויט דעם וואס דער אלטער רבי שרייבט אז "לא ידע לכוון הלשון בדקדוק" האט מען דאך געקאנט פארהיטן די אלע ענינים, און לכתחילה זאגן די ענינים אין לשון הקודש? אבער דאס איז אויך א נקודה אין תפקידו של הבעל שם טוב, אז די תורה דארף זיין אין דזארגאן, אין דעם לשון וועלכע ס'רעדט דער גוף ונפש הבהמית, ביז צו די אנשים פשוטים… דאס גייט פון דעם עצם פון בעל שם טוב צו דעם עצם פון דעם אדם פשוט דורך דעם ממוצע המחבר וואס היא היא תורת הבעל שם טוב. It cannot be that the shekhinah is in exile and the Jewish people are in exile, and that so it shall continue [without end]. And the exodus from exile cannot occur (as it says in Zohar and as is explained in Kabbalah) until “the feet reach the feet,” [meaning] till the soles of the footsteps of the Messiah stand as they need to. And it is a general principle in the work of refinement that you can’t refine anything sitting alone and secluded… Therefore, as the Alter Rebbe [R. Schneur Zalman of Liadi] writes in Igrot Qodesh, the teachings of the Baal Shem Tov were articulated in Yiddish, not in the Holy Tongue. Which, seemingly, is not understood: Why could he not teach in the Holy Tongue? It is, of course, Torah content, and [the question is] especially [pertinent] since it was afterwards translated and written in the Holy Tongue, and [the question is made] especially [difficult] according to what the Alter Rebbe writes that “they did not know how to precisely cite his phraseology.” All these errors could have been preempted, and he could have spoken in the Holy tongue? However this is a point that relates to the Baal Shem Tov’s purpose, that his teachings must be in zhargon [Yiddish], in the language in which the body and animal soul speak, to the degree that it even reaches simple people… that the Torah shall be said in such a language that even the simple folk understand, without translation and without an interpreter between them, [rather] it goes from the essence of the Baal Shem Tov to the essence of the simple person through the intermediary that connects them, and which is itself the teachings of the Baal Shem Tov. The Baal Shem Tov spoke in Yiddish, in other words, in order to overcome alienation and otherness, in order to create an intimacy that subverts the need for any intermediary. The seventh Rebbe’s interpretation echoes the theme of language as a medium of union between “worlds and souls and divinity,” which the Baal Shem Tov emphasized in his letter to his brother-in-law. The Baal Shem Tov likewise extends this union beyond sacred speech (prayer and Torah study) to include mundane speech as well (“each and every word and verbal articulation”). For the seventh Rebbe both of these themes are reflected in the choice to speak in Yiddish. But, as we have already seen, the seventh Rebbe’s understanding of Yiddish transcends any requirement to actually speak Yiddish, though this was certainly something he encouraged. The ultimate significance of Yiddish is that sacred speech should transcend the particularity of any Jewish language, and that the Baal Shem Tov’s teachings should resonate in every language. Yiddish provides the linguistic opening for the universal dissemination and assimilation of the fundamental sense that G-d inheres in every spoken word, and that through always speaking with intention all the souls and all the cosmos are united with G-d, bringing joy and great pleasure without measure. 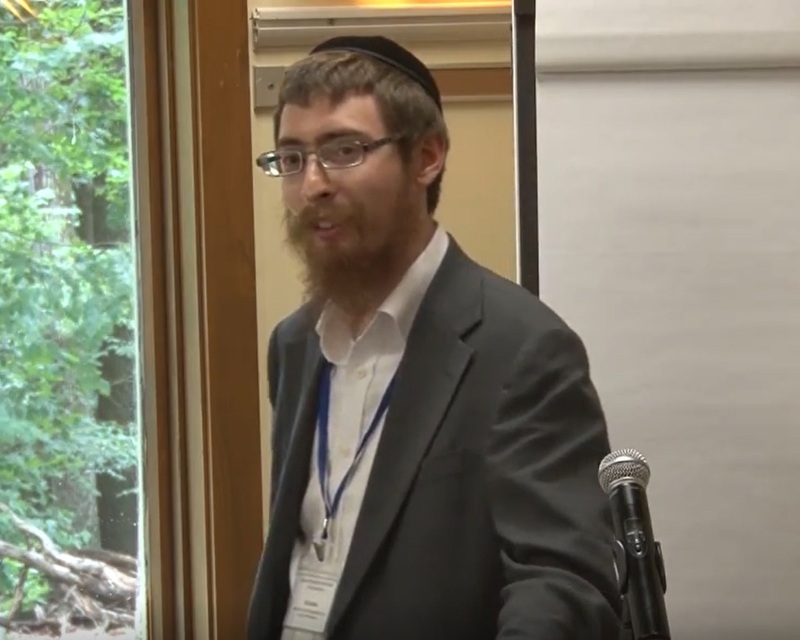 See Ariel Evan Mayse, “Double-Take: Textual Artifacts and the Memory of Hasidic Teaching,” in Kabbalah, 37 (2017), 37-93; Daniel Reiser, “The Hasidic Sermon: Between Yiddish and Hebrew,” Judaica Petropolitana 6 (2016): 3-23; Naftali Loewenthal, Communicating the Infinite: The Emergence of the Habad School (Chicago and London: Chicago University Press, 1990), 66, 174, 195-204. See Shalom DovBer Levine (ed. ), Igrot Kodesh Admor Ha-rashab Vol. 2 (New York: Kehot Publication Societ, 1986), 816-824. See Loewenthal, Communicating the Infinite, 174; Ariel Mayse, “The Sacred Writ of Hasidism,” 155, n. 47. Shalom DovBer Levine (ed. ), Igrot Qodesh Admor Harayats Vol. 9 (New York: Kehot Publication Society, 1987), 367. E.g. 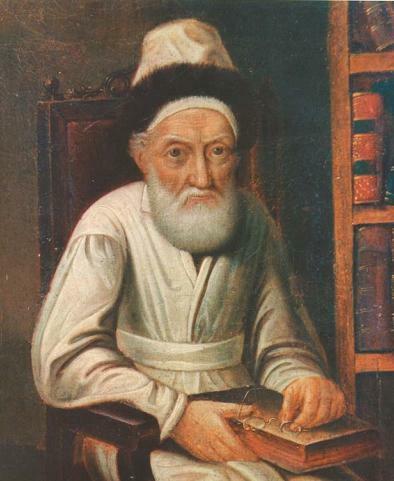 R. Schneur Zalman of Liadi, Likutei Amaarim—Tanya, Quntras Aḥron, 163a (325). For further examples and discussion see Pikarski (ed. ), Hat’ḥalat Ha-avodah, 20. Levine (ed. ), Igrot Qodesh Admor Harayats Vol. 9, 156. Idem., Igrot Qodesh Admor Harayats Vol. 13 (New York: Kehot Publication Society, 1998), 309. Elliot R. Wolfson, Open Secret, 17. See R. Menachem M. Schneerson, “Quntras Inyanah Shel Torah Ha-ḥasidut” in Sefer Ha-erkhim Chabad, ed. Yoel Kahn (New York: Kehot Publication Society, 1970), 760-1. My translation follows the edited version of the talk as published in the authoritative series Liqutei Siḥot Vol. 3 (New York: Kehot Publication Society, 1964), 873. For an audio recording of the original talk see Chabad.org <Chabad.org/550436> (accessed April 12, 2018). For video footage (without audio), see Ibid., <Chabad.org/ 618965> (accessed April 12, 2018). Though especially emphasized in the thought of the seventh Rebbe, this notion of the Messianic potential contained within the exilic state can be traced to the statement of R. Schneur Zalman of Laidi, in Likutei Amaarim—Tanya, Chapter 37, 46b (92): “This ultimate completeness of the Messianic era and the revival of the dead, which is the disclosure of the infinite revelation of G-d in this physical world, depends on our actions and efforts through the time span of the exile.” For more on this theme, see Eli Rubin, “The Idealistic Realism of Jewish Messianism,” Chabad.org <chabad.org/2766417> (accessed March 26, 2018). Ibid., 872. For discussions of the manuscript sources of this exchange in a letter addressed by the Baal Shem Tov to his brother-in-law, R. Gershon of Kitov, as well as the particular significance of this exchange in contemporary Chabad, see Naftali Loewenthal, “The Baal Shem Tov’s Iggeret HaKodesh and Contemporary Habad ‘Outreach,’” in Let the Old Make Way for the New, eds. David Assaf and Ada Rapoport-Albert (Jerusalem: Merkaz Zalman Shazar, 2009), 69-101. See also below, n. 53. R. Menachem Mendel Schneerson, Ibid., 448. Joshua A. Fishman, Yiddish: Turning to Life (Amsterdam and Philadelphia: John Benjamins Publishing, 1991), 13. R. Menachem Mendel Schneerson, Siḥot Qodesh 5740 Vol. 1 (Brooklyn, 1986), 804. Shalom DovBer Levine and Yehoshua Mondshine (eds. ), Igrot Qodesh Admor Ha-zaqen (New York: Kehot Publication Society, 2012), 427-8. It is noteworthy that these two points are the central themes developed and applied by R. Schneur Zalman in the second section of Likutei Amaarim—Tanya, titled Shaar Ha-yihud Ve-ha-emunah, which is devoted to an explanation of the “singularity and unity” of G-d and—thereby—to the provision of a reservoir of contemplative material that can inspire love and awe in the worship of G-d.
See also R. Schneur Zalman of Liadi, Maamarei Admur Ha-zaqen 5569 (New York: Kehot Publication Society, 2012), 57: “It is not by default, only by will and choice… for the concept of this radiance is not [to be understood] literally like the radiance of the sun that it should be by compulsion…” This too is an axiomatic theme in Chabad thought, though I have found few explications of it in this form in R. Schneur Zalman’s own teachings. For further explication in later Chabad teachings, see R. Shalom DovBer Schneersohn, Hemshekh Beshaah Shehiqdimu 5672 (Ayin Bet) Vol. 1 (New York: Kehot Publication Society, 2011), 130; R. Menachem Mendel Schneersohn, Maamarim Meluqatim Vol. 1 (New York: Kehot Publication Society, 2012), 139 and 248. 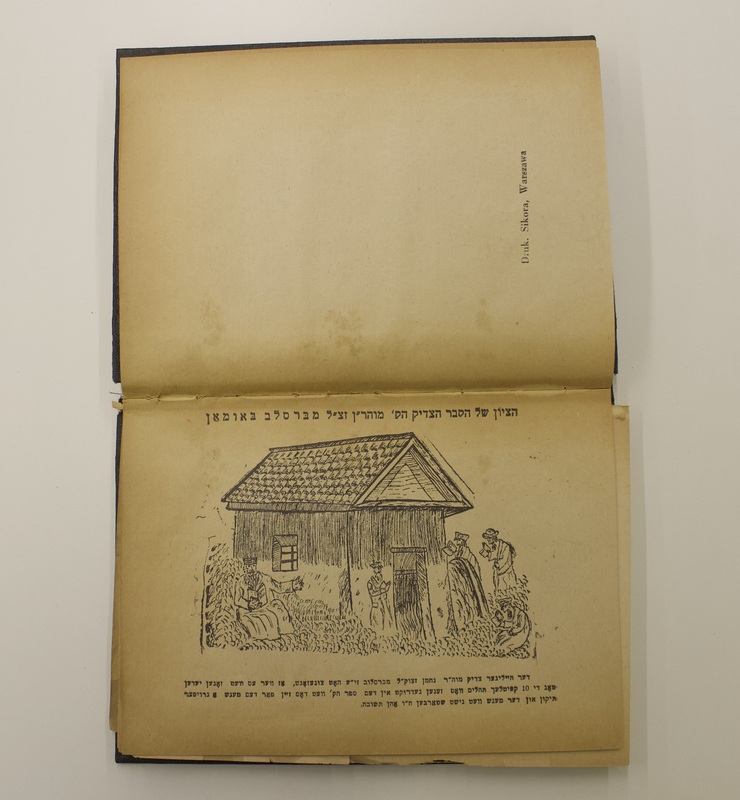 R. Shalom DovBer Schneersohn, Sefer Ha-siḥot—Torat Shalom (New York: Kehot Publication Society, 1946), 3. Relevant discussions include, Moshe Idel, ‘Modes of Cleaving to the Letters in the Teachings of Israel Baal Shem Tov: A Sample Analysis’, in Jewish History 27.2-4 (2013), 299-317; Rachel Elior, The Mystical Origins of Hasidism, trans. Shalom Carmy, (Oxford: The Littman Library of Jewish Civilization, 2006), 41-58; Tsippi Kauffman, In All Your Ways Know Him: The Concept of God and Avodah be-Gashmiyut in the Early Stages of Hasidism, (Tel Aviv: Bar Ilan University Press, 2009), 77-82, 149-160; Ron Wacks, “The Yihud in Speech in Hasidism,” Daat 57-59 (2006): 143-163; Loewenthal, Communicating the Infinite, 154-6; Evan D. Mayse, Beyond the Letters: The Question of Language in the Teachings of Rabbi Dov Baer of Mezritch (Unpublished PhD Dissertation, Harvard University, 2015). My translation follows the version of the text most often referred to within Chabad as published in Jacob Immanuel Schochet (ed. ), Keter Shem Tov Ha-shalem (New York: Kehot Publication Society, 2004), 5. The scholarly literature on the various versions of this letter, and on the significance of its contents, is vast. For the most up-to-date review and discussion of the literature see Chaim Elly Moseson, From Spoken Word to the Discourse of the Academy: Reading the Sources for the Teachings of the Besht (Unpublished PhD Dissertation, Boston University, 2017), 35-117. Also see Mayse, Beyond the Letters, 167-8, and above, n. 41. On the provenance of this work and the history of its publication see Jacob Immanuel Schochet (ed. ), Sefer Tsavaat Ha-Rivash (New York: Kehot Publication Society, 1998), Haqdamah, X-XV; Moseson, From the Spoken Word, 134-5, 242-6. On the burning of the book, see Mordecai Wilenski, Hasidim and Mitnaggedim: A study of the controversy between them in the years 1772-1815, vol. 1 (Jerusalem: Bialik Institute, 1990), 182. This letter was first published in an appendix to the Shklov 1814 edition of Likutei Amaarim—Tanya. In the standard editions of this work (Vilna 1900 and on) it can be found on pages 138a (275) - 142a (283), as Epistle #25. For more on the provenance of this letter, and its publication history, see Levine and Mondshine (eds. ), Igrot Qodesh Admor Ha-zaqen, 149-157. The relevance of this text for the question of the role of Yiddish in Hasidism has already been noted. See Daniel Reiser, “The Hasidic Sermon,” 14. On the notion of the exile of the Shekhinah in the Jewish mystical tradition, see Rachel Elior, “Exile and Redemption in Jewish mystical thought,” Journal of the Interdisciplinary Study of Monotheistic Religions (JISMOR) 4 (2008): 11-24. For discussions of the terrestrial indwelling of the shekhinah and questions of incarnation and heresy in Judaism, Christianity and Islam, see Diana Lobel, “A Dwelling Place for the Shekhinah,” The Jewish Quarterly Review 90, no. 1/2 (1999): 103-25. R. Yosef Yitshak Schneersohn, Sefer Hamaamarim—Yiddish (New York: Kehot Publication Society, 1946), 110-111. Ibid., Chapter 27, 34a (67). See Joshua A. Fishman, “The Sociology of Yiddish: A Foreword,” in Never Say Die! A Thousand Years of Yiddish in Jewish Life and Letters, ed. Joshua A. Fishman (The Hague: De Gruter, 1981). 1-63; Barry Trachtenberg, The Revolutionary Roots of Modern Yiddish, 1903-1917 (Syracuse University Press, 2008); Dalit Assouline, Contact and Ideology in a Multilingual Community: Yiddish and Hebrew Among the Ultra-Orthodox (Boston and Berlin: De Gruter, 2017); Jeffrey Shandler, Adventures in Yiddishland: Postvernacular Language and Culture (Berkley and Los Angeles: University of California Press, 2006); Netta Avineri, “Yiddish language socialization across communities: Religion, ideologies, and variation,” Language and Communication, 42 (2015): 135-140. Shalom DovBer Levine (ed. ), Igrot Qodesh Admor Ha-rashab, Vol. 2 (New York: Kehot Publication Society, 1986), 824. For an exception that is notable, but relatively brief, see Elliot R. Wolfson, Open Secret: Postmessianic Messianism and the Mystical Revision of Menahem Mendel Schneerson (New York: Columbia University Press, 2009), 15-6, 42-4. The ground covered by Wolfson will be revisited below (Part 3) and set in a wider historical, cultural, ideological, and textual context. For some details of this see Mayse, “Double-Take,” 66-84. On the “polylingual” and “scholarly” orientation of the seventh Rebbe’s Yiddish see Benjamin Harshav, The Meaning of Yiddish (Stanford: Stanford University Press, 1999), 21. Loewenthal, Communicating the Infinite, 240 n. 11; Reiser, “The Hasidic Sermon,” 14. Hayim Lieberman, “On the Question of the Relationship of Hasidism to Yiddish,” in Ohel Rh”l Vol. 2 (New York, 1980), 2; Loewenthal, Communicating the Infinite, 194-205; Reiser, “The Hasidic Sermon,” 14. R. DovBer Schneuri, Poqe’aḥ Ivrim (Shklov, 1833), 2; Alexander Ziskind Pikarski (ed. ), Mamarei Admor Ha-emtsa’iy - Quntreisim (New York: Kehot Publication Society, 2012), 478. For details of the publication of this tract see Ibid., 525. For details of additional Yiddish tracts authored by R. DovBer see Ibid., 601-604; Idem., Hat’ḥalat Ha-avodah (New York: Kehot Publication Society, 2017). For a discussion of some aspects of this within its broader cultural and historical context see Israel Bartel, “From Traditional Bilingualism to National Monolingualism,” in Hebrew in Ashkenaz, ed. Lewis Glinert (New York and Oxford: Oxford University Press, 1993), 141-150. Also see Holger Nath, “Yiddish as the Emerging National Language of Eastern European Jewry” Sociolinguistics 6, no. 1 (1992): 52-64. On processes of Jewish migration during this period see Tobias Brinkmann, “Permanent Transit: Jewish Migration during the Interwar Period,” in 1929: Mapping the Jewish World, eds. Hasia R. Diner and Gennady Estraikh (NYU Press, 2013), 53-72. For related comments on migration, multilingualism and Yiddish see Guy Miron, “A People between Languages: Toward a Jewish History of Concepts,” Contributions to the History of Concepts 7, no. 2 (2012): 12-13. On other aspects of the sixth Rebbe’s activism during this period see Ada Rapoport-Albert and Gadi Sagiv, “Chabad ke-neged hasidut 'Polin': le-toledotav shel dimui,” in Chabad Hasidism: History, Theology and Image, eds. Jonatan Meir and Gadi Sagiv (Zalman Shazar Center, 2016), 223–65. On the general phenomenon of resacralization and its implications see Grace Davie, “Resacralization,” in The New Blackwell Companion to The Sociology of Religion, ed. Bryan S. Turner (Wiley, 2010), 160-177; Philip Wexler, Mystical Sociology: Toward Cosmic Social Theory (New York: Peter Lang, 2013), 19-26. On resacralization in the mystical vision of the seventh Rebbe see Ibid., 44-6; Eli Rubin, “Divine Zeitgeist—The Rebbe’s Appreciative Critique of Modernity,” Chabad.org <Chabad.org/2973252> (accessed April 8, 2018). Also see David Sorkin, “Between Messianism and Survival: Secularization and Sacralization in Modern Judaism,” Journal of Modern Jewish Studies 3, no.1 (2004): 73-86. On the Tsemach Tsedek’s role in the commission and in its fallout see Iliah Lurie, The Habbad Movement in Czarist Russia, 1828-1882 (Jerusalem: The Hebrew University Magnes Press, 2006), 62-93. Shalom DovBer Levine (ed. ), Igrot Qodesh Admor Ha-Tsemaḥ Tsedeq (New York: Kehot Publication Society, 2013), 77. On Mandelstamm see Yehuda Slutsky, "Mandelstamm, Leon," in Encyclopaedia Judaica Vol. 13, eds. Michael Berenbaum and Fred Skolnik (Macmillan, 2007), 465. A volume of Exodus is held by University of Toronto Libraries. It has separate title pages for the German and Hebrew sides; the former states that it was printed in St. Petersburg, the latter that it was printed in the Rom Press, Vilnius. The phrase “by order of the government” appears in the Hebrew side on the page following the list of rabbis to whom approbations were attributed. Lurie, The Habbad Movement, 83-93. Shalom DovBer Levine (ed. ), Igrot Qodesh Admor Mi-lubavitch, Vol. 15, (New York: Kehot Publication Society, 2003), 128. Ibid., Chapter 23, 28a-b (55-56). For more on the ideological battles waged by Rashab, and on his pedagogical and political activism see Naftali Yosef Brawer, Resistance and Response to Change: The Leadership of Rabbi Shalom DovBer Schneersohn (1860-1920) (Unpublished PhD Thesis, University College London, 2004); Iliah Lurie, Lubavitch and its Wars: Chabad Hasidism and the Fight for the Image of the Jewish Society in Czarist Russia (Unpublished PhD Thesis, Hebrew University, 2009). On the impact of WWI and the Russian Revolution on Jewish populations, with particular reference to the case of Chabad, see Andrew N. Koss “War Within, War Without: Russian Refugee Rabbis during World War I,” AJS Review 34, no. 2 (November 2010), 231–263; Eli Rubin, “Purim in Petrograd, 1917: Rabbi Shalom DovBer of Lubavitch and the Russian Revolution,” Chabad.org <chabad.org/3975372> (accessed April 8, 2018); Shalom DovBer Levine (ed. ), Toldot Chabad Be-rusya Ha-suviyetit (New York: Kehot Publication Society, 1989), esp. 1-3; Idem., Toldot Chabad Be-polin, Lita Ve-latviya (New York: Kehot Publication Society, 2011), 19, 46-7. On the post-Holocaust activities of Rayats see Shalom DovBer Levine (ed. ), Toldot Chabad Be-artsot Ha-brit (New York: Kehot Publication Society, 1988), 166-374. See the relevant discussion in Wolfson, Open Secret, 224-5. 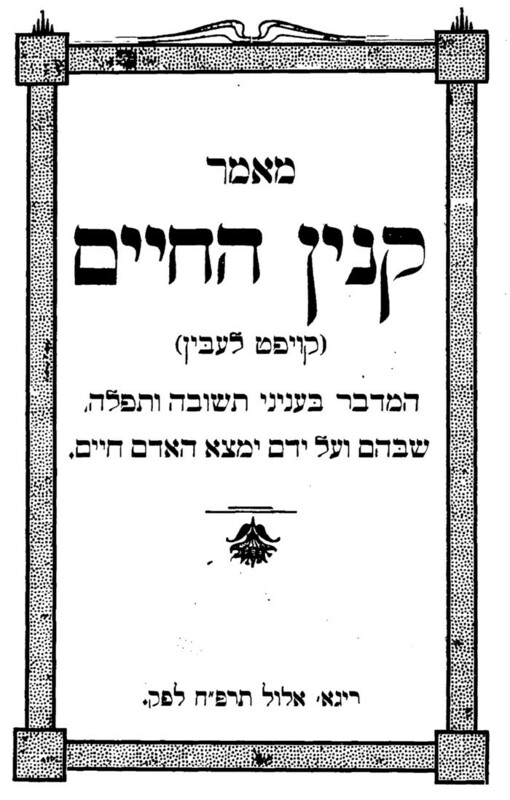 R. Yosef Yitzḥaq Schneersohn, Mamar Qinyan Ha-ḥayim (Riga, 1928), 4; Idem., Sefer Ha-mamarim - Quntreisim, Vol. 1 (New York: Kehot Publication Society, 2010), 1. Shalom DovBer Levine (ed. ), Igrot Qodesh Admor Harayats Vol. 16 (New York: Kehot Publication Society, 2016), 217. The key word here is “hataqat,” which could refer either to translation or to copying. In a subsequent letter exploring the possibility of translating this discourse into Georgian (Ibid., 496) Rayats emphasizes that he wants it to be translated into “the language spoken fluently among the common folk and not the language spoken among scholars, for in every language there is the most grammatically precise form, which is only used by scholars, and also the form that the common folk use.” It is possible, accordingly, that Rayats originally wrote it in a more scholarly Yiddish, rather than Hebrew, and that Mrs. Reinin rewrote it in more accessible form. Ibid., 240-241, 254, and 256. 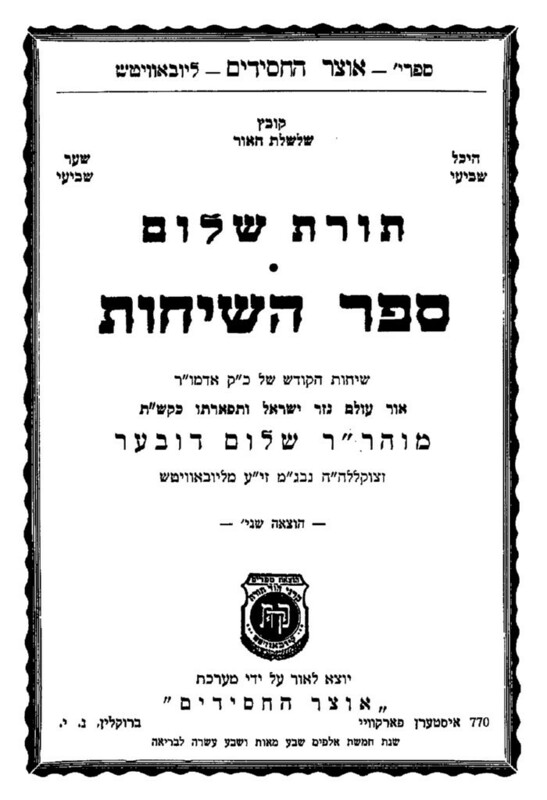 It is notable that the Yiddish tract Poqe’aḥ Ivrim was also republished by the Newark based Agudat Hasidei Chabad organization, in 1940. On further efforts to translate and disseminate Hasidic teachings during the interwar period, on the roles played by women in these activities, and also on the involvement of the son-in-law of Rayats, R. Menachem M. Schneerson, see Idem., Igrot Qodesh Admor Harayats Vol. 15 (New York: Kehot Publication Society, 2011), 245, and Idem., “Introduction,” Igrot Qodesh Admor Harayats Vol. 4 (New York: Kehot Publication Society, 2016), 12; Mordechai Menashe Laufer, “Hasidut Meturgemet,” Hitqashrut 630 (2006): 9-13; Naftali Loewenthal, “Spiritual Experience for Ḥasidic Youths and Girls in Pre-Holocaust Europe – A Confluence of Tradition and Modernity,” in Jewish Spirituality and Divine Law, eds. Adam Mintz and Lawrence Schiffman (Jersey City: Ktav, 2006) 442. Also see Ada Rapoport-Albert, “From Woman as Hasid to Woman as “Tsadik” in the Teachings of the Last Two Lubavitcher Rebbes,” Jewish History 27 (2013): 435-473. R. Yosef Yitshak Schneersohn, Sefer Ha-siḥot 5701 (New York: Kehot Publication Society, 1986), 54. On this topic also see Naftali Loewenthal, Communicating the Infinite, 54-59; Rachel Elior, The Paradoxical Ascent to God: The Kabbalistic Theosophy of Chabad Hasidism (Albany: State University of New York Press, 1993), 115-124; Ariel Evan Mayse, “The Sacred Writ of Hasidism: Tanya and the Spiritual Vision of Rabbi Shneur Zalman of Liady,” in Books of the People: Revisiting Classic Works of Jewish Thought, ed. Stuart Halpern (New York: Maggid and Yeshiva University Press, 2017), 109-156. Likutei Amaarim—Tanya, Chapters 4 and 16 (Vilna, 1900), 9a and 22a (17 and 43 in Arabic pagination). Ibid., Chapter 29, 36a (71). Ibid., Chapter 2, 6a (11); Ibid., Chapter 4, 8b (16). R. Menachem Mendel Schneerson, Siḥot Qodesh 5720 (Brooklyn, 1985), 175-176. Rubin, Eli. “A Linguistic Bridge Between Alienation and Intimacy: Chabad’s Theorization of Yiddish in Historical and Cultural Perspective.” In geveb, January 2019: https://ingeveb.org/articles/a-linguistic-bridge-between-alienation-and-intimacy. Rubin, Eli. “A Linguistic Bridge Between Alienation and Intimacy: Chabad’s Theorization of Yiddish in Historical and Cultural Perspective.” In geveb (January 2019): Accessed Apr 21, 2019. Eli Rubin is an editor and research writer at Chabad.org, and a graduate research student in the Department of Hebrew and Jewish Studies, University College London.